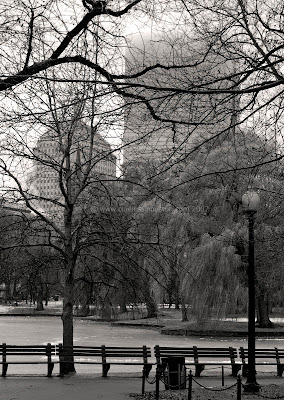 Another view of the Boston Public Garden on a cold and foggy December day. brrrrrrr... cold... but let't face it: parks in winter with snow are awsome! It gives the feeling, of the day. :) The old John Hancock tower! My first official part time job in 1968. I love Boston.